Calculator - A simple calculator, displayed as a whole widget or inside a tool window. ColorButton - The ColorButton widget allow the user to select a color. FontButton - The FontButton widget allow the user to select a font from all available fonts in the system. Picture - This widget simply shows a Picture. Supported picture formats: PNG, BMP, JPEG, GIF (including animated GIFs), ICO and TIFF. Separator - The Separator widget represents a separator line with text and image. StyledLabel - The StyledLabel widget represents a label with text formatting. 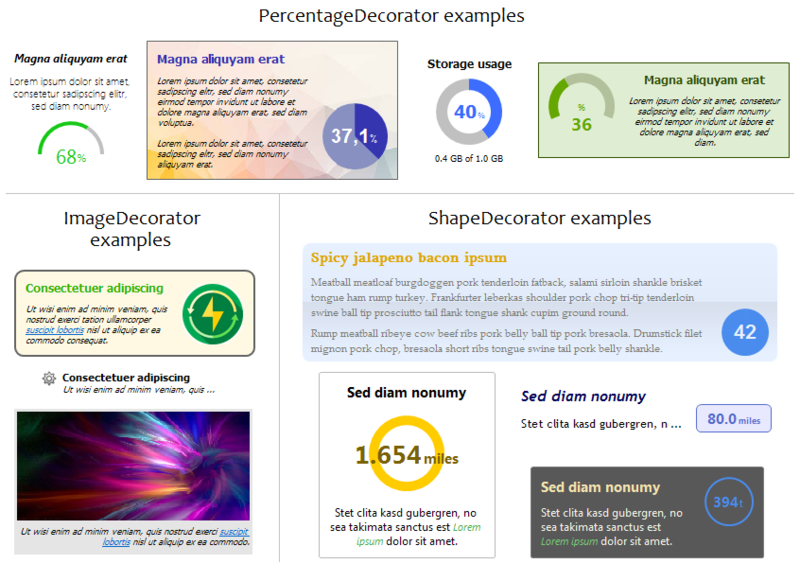 Tile - The Tile widget represents a graphical element (e.g. picture, chart etc.) represented by a decorator and many formatted text sections. Please visite our project homepage at GitHub. By adding the following code below to your website you will be able to add an install button for Greip - Additional SWT Widgets.